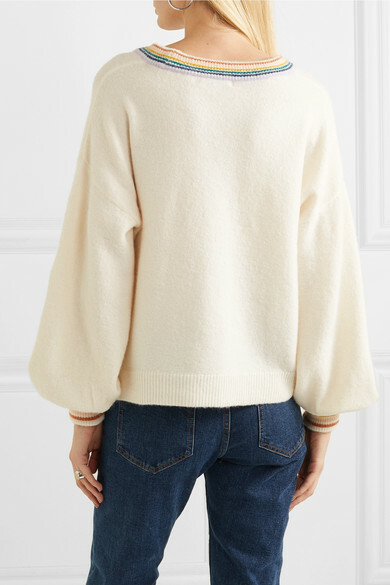 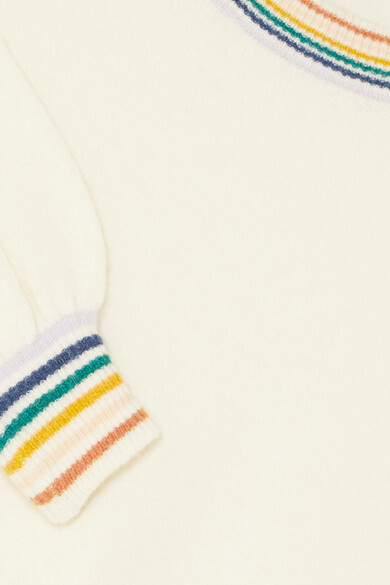 Madewell’s sweater is defined by candy-colored stripes and voluminous blouson sleeves. 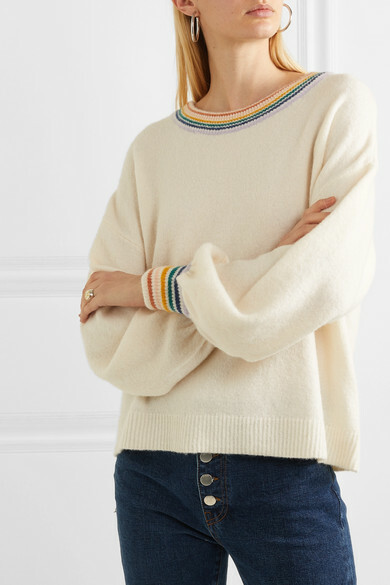 Perfect for cool weekends, it's knitted with touches of wool, alpaca and stretch and has a comfortably relaxed fit that works well with straight-leg pants or jeans. 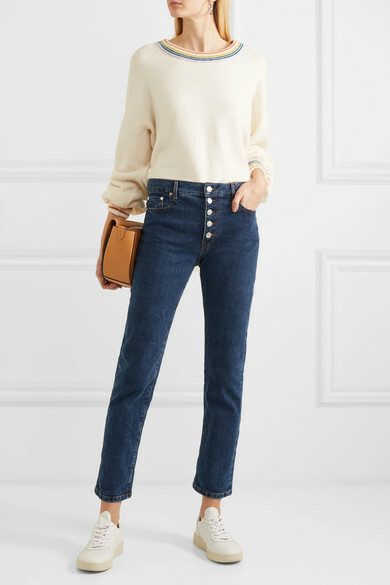 Shown here with: Joseph Jeans, JW Anderson Shoulder bag, Veja Sneakers, Jennifer Fisher Earrings.